If you’re the type person who enjoys a more self-sustaining lifestyle, a more "off the grid" approach to living; if you like trying new things, or taking on creative projects that are fun, planet-friendly, and don’t require a degree in engineering, then perhaps constructing an aquaponics system is for you. It’s a great way to spend an afternoon and after it’s made, it is perpetual and pretty much runs itself. With a minimal investment and the right materials, you can have your own DIY aquaponics up and running in no time! First, however, let us discover what aquaponics is and what it does. The word aquaponics derives its name from aqua, Latin for water, and ponics, from the Greek word ponos for work. So literally, water working. Aside from just being really cool, aquaponics is a great way to witness Nature in full swing. While Nature has been doing this for millennia, the symbiotic relationship that exists between plants and aquatic animals (in this instance, fish) is fascinating to behold. Materials for construction and even complete aquaponics kits are readily available. All you need to start with is a functioning aquarium and some container plants. With aquaponics, you can raise fish for pleasure or consumption and grow healthy-for-you vegetables and herbs that are superior in color, size, quality, and nutrients for pennies when compared to buying organic produce at the store. There is also some question as to just how organic some of that produce labeled as such truly is. In a nutshell, once constructed, the water from the fish tank fertilizes and hydrates the vegetables or herbs or whatever you choose to grow, while in return the plants extract the nutrients and return clean water to the aquarium. It’s a win-win situation! You’ll have peace of mind knowing you are growing your own healthy, truly organic vegetables and that you are not eating fish containing enough mercury to get a thermometer reading from. 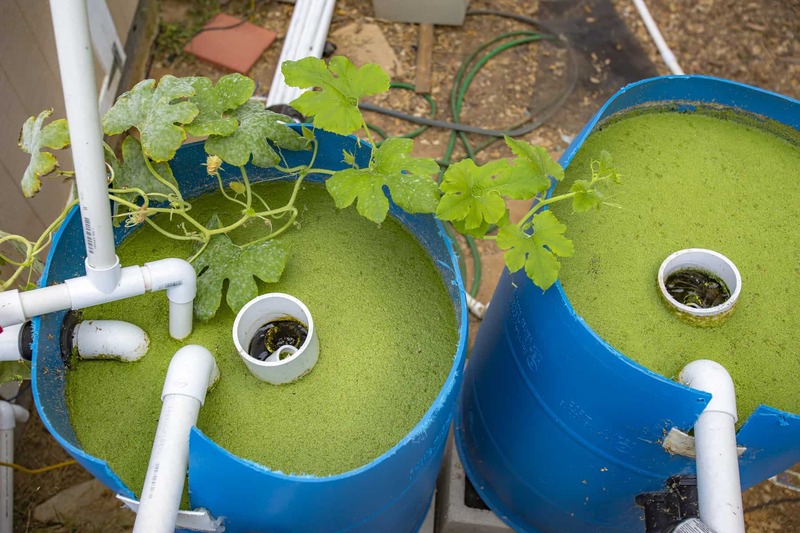 Aquaponics systems are actually surprisingly easy to make. If you don’t care about fancy aesthetics, there are a number of systems you can create for a small monetary investment. You know those inexpensive shelves you can buy at Wal-mart or Target, the ones used to store veggies or items in the pantry? They’re what you’ll need to start this system. Step 1: Assemble the shelves﻿ - It will take you only a few minutes to set up the three or four-level shelves. Step 2: Set up the fish tank - You'll need a fish tank on the bottom level of the Aquaponics system, as that will provide both the water and the nutrients to feed the plants above. Step 3: Set up the pumping/hydroponics systems - These two systems will pump the water from the tank up to the top level of the aquaponics system and will break down the waste into nitrogen. Step 4: Add the grow-rocks - Grow rocks provide the plants something for the roots to cling to, and will be the "soil" in which the plants grow. For this particular system, you'll need about 20 liters of clay pebbles. Other systems use plain dirt - good sterilized soil, actually. Always use sterilized soil and be sure your containers are sterilized as well before planting. While you can acquire most parts of an aquaponics system just about anywhere, one part that is a little sensitive is the grow media, aka the gravel at the bottom. The gravel you might find in your driveway or wherever else will often contain toxins or alter the pH in your system, killing your fish and/or plants. Step 5: Plant the plants - You can buy the plants you want to grow at your local plant nursery or your favorite gardening supplies store. Just make sure you've done your research and know which plants grow best in the aquaponics system. Step 6: Add the fish - Pet stores are a great place to find the fish for your aquaponics systems. For edible fish, a fishery is where you'll need to shop. Just make sure you've got the right fish for the job. Step 7: Turn it on - Turn it on and get to growing! Here's a more in-depth walkthrough on how to assemble the shelfponics system. You can see that this is a fairly simple project, and one you can easily accomplish on a weekend. That’s what makes aquaponics systems so popular; they’re user-friendly, require minimal effort, and can be set up in a short period of time. The payoff is pretty nice too. For our next system, you will need just two plastic barrels. One will be home to the fish, and thus will be on the bottom level. Simply cut a square into the side of the barrel and use it to fill the barrel with water. Add the fish, and install the drainage system. Cut the other barrel in half length-wise, and place each half on its side. Fill the barrel with the clay pebbles and grow rocks, and let the plants grow. Drainage will be a bit different with this system: instead of letting the water drip out of the bottom of the barrels it will drain into PVC pipes that will send the water directly into the fish tank barrel. For this system, you will also need just two plastic barrels. One will be home to the fish, and thus will be on the bottom level. Simply cut a square hole into the side of the barrel, and use it to fill the barrel with water, add in the fish, and install the drainage system. Like the previous system, cut the other barrel in half length-wise, and place each half on its side. Fill the barrel with the clay pebbles and grow rocks, and let the plants grow. The drainage system will be a bit different with this arrangement. Instead of letting the water drip out of the bottom of the barrels, it will drain into PVC pipes that will send the water directly into the fish tank barrel. See how it's done in this instructional article. Those were just a few of the systems you can build and there are many more available online. The internet is filled with resources that teach you how to build your own aquaponics systems from simple to complex. Here are a few great videos to get you started creating different systems. Simple, Tiny Tabletop System for Under $10! 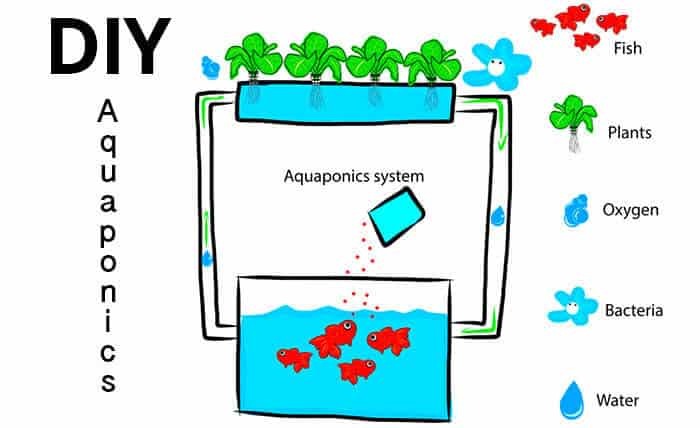 Why Not Build Your Own Aquaponic System? Instead of buying a commercial aquaponics system, it’s much cheaper to DIY and a lot more fun. Done correctly, you’ll find that the system will function as well as other manufactured systems but can cost you as little as $50, or even less, to build. In practically no time you’ll learn how to easily keep an aquaponic garden running, keep the fish growing, and care for the plants as well. After you have learned to effectively keep your aquarium garden running, you’ll be ready to consider upgrading to a higher quality system. The aforementioned systems are “beginners” systems to teach you what you need to know but nothing beats hands-on experience. Best of all, this is a project you can do with your family and friends. 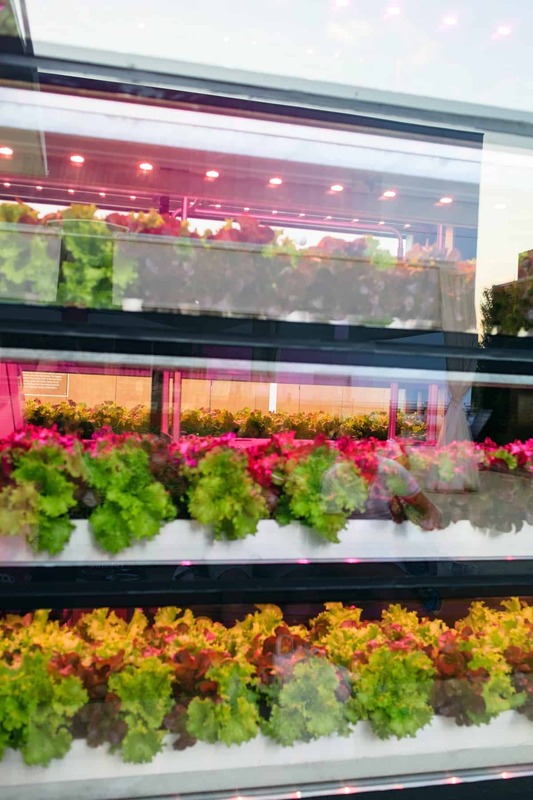 Children and grownups alike will marvel at the cool aquaponics system you built with your own hands ( or maybe with a little help) and all will enjoy the fruits of your labor come harvest time. If you’re going to raise fish for the supper table, it takes about 9 months to get up to plate-size, depending on the type of fish you grow. Tilapia is a big favorite right now but there are many other kinds. However, the type of fish and variety of plants and veggies you choose to grow is entirely up to you. So now that you’ve learned some of what you need to know about building your own aquaponics system, it’s time for you to find a design and style that suits you best and get ‘er done! Good luck and happy growing! For a lot more great gardening tips, see our guide on 31 Ways to Make You an Organic Gardening Guru.